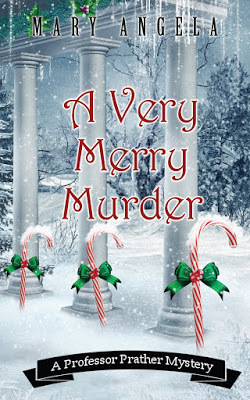 Today I'm featuring a recent blog tour read, A Very Merry Murder by Mary Angela. The excerpt shared is from the electronic version I received from the publisher in exchange for an honest review. Up and down Oxford Street, Christmas decorations were beginning to twinkle, lighting up the snow in globes of red, green, and gold. In my little bungalow, nestled in the middle of the block, I was decking the halls (or porch, rather) with tiny white lights. I danced delicately between tacking up strands and shooing away my cat, Dickinson. It was late Thursday afternoon, and with Dean Martin crooning in the background and my first batch of sugar cookies in the oven, the holiday spirit was upon me. The Grinch himself couldn't have stolen it away. The opening paragraph has a charming holiday feel, reminding me of the things I like best about the season. 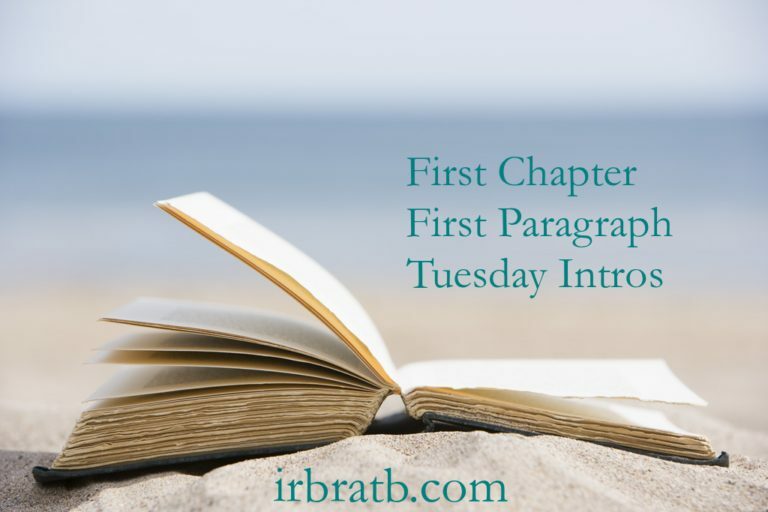 Although this is the third book in the Professor Prather mystery series, it can be read as a standalone, and is a good entry point into this wonderful cozy series. I have since read and thoroughly enjoyed the first book, An Act of Murder. Book two, Passport to Murder is in my reading queue, and I am eagerly anticipating a fourth book in the series. You can read my review of A Very Merry Murder here. You'll also find a GoodReads synopsis and link for a giveaway in the blog tour post. Yup, although I'm avoiding any mention of Christmas on principle the opening does conjure up the best things about the season! Oh I love Christmas in October lol I'd read it. Here's my Tuesday post - have a great week! I would read this book, but I think it's a bit too early to be reading a story about Christmas just yet! Love the cover and the intro; nice pick Catherine. This looks like a great read. I love the opening, and I'd keep reading! Sounds like a good one. This week I am featuring The Hour of Death by Jane Willan from my review stack. Happy reading! I'm glad this works as a stand-alone as I really would like to read it. I just don't want to add one more series to my book list right now. I'm glad you shared the book. Fun! I'm not ready for Christmas books yet, but I'll have to remember it in a month or so. I'd keep reading, but I'd wait until December.